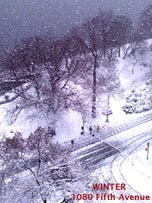 Marcy Pedas Sigler, Stribling & Associates, Ltd.
An elegant, sun-filled corner apartment with direct Central Park and Reservoir views. This 'Classic Five' home consists of a gracious entry foyer, spacious living room, corner dining room, windowed kitchen, two bedrooms and two baths. Features include floor to ceiling windows throughout, ample closet space and a separate off premise private storage room. The view flooded apartment's western exposure offers direct, panoramic Central Park and Reservoir views. 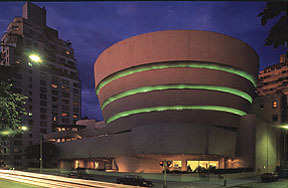 The views South include the Guggenheim Museum's Rotunda with unobstructed Fifth Avenue views to the Empire State building and Central Park South city skyline. 1080 Fifth Avenue is a distinguished, fully serviced building, Carnegie Hill restaurants and upscale shops provide the best in city living. This sophisticated home offers a peaceful oasis on Fifth Avenue's coveted ' museum mile'. Apartment needs TLC. A corner view-flooded home, in need of TLC, located in a distinguished, fully serviced building, with direct views of Central Park and the Jacqueline Kennedy Onassis Reservoir. Carnegie Hill restaurants and upscale shops provide the best in city living. by Marcy Sigler, Stribling & Associates, Ltd.
Carnegie Hill made its debut on the Manhattan landscape in 1901 with the appearance of Andrew Carnegie's ornate 65-room neo-Georgian mansion (now the Cooper-Hewitt Museum) on Fifth Avenue and Ninety-First Street. The industrialist's home, built on the highest ground on the Upper East Side (115 feet above sea level) at a cost of $1,500,000 provided "the fresh air and sunshine" prescribed by Carnegie's physician. Other turn-of-century plutocrats, seeking to escape the noise, traffic and business encroachment of Midtown, followed Carnegie northward on fashionable "Millionaire's Row" by filling the semi-rural high ground with their mansions and elegant side-street townhouses. The area's side streets were quickly lined by London townhouses and private schools, protecting a truly elite, discreet, quiet and privileged residential lifestyle. For many decades, developers passed over Carnegie Hill, leaving intact its historical integrity. Surviving are over 100 grand buildingspalaces of the industrialists, bankers, ambassadors and merchantswhich collectively serve with Central Park to give permanence to Manhattan's most coveted commodity: sunlight. Carnegie Hill, a stable residential community between Eighty-Sixth and Ninety-Sixth Streets, Fifth to Third Avenues, is still home to many of New York's prominent families. Devoted to family and privacy, the area with its quiet, tree-lined streets and well-tended brownstones has an abundance of excellent private and public schools. Catering to the daily needs of the area are the eateries, boutiques and friendly shops (many owned by neighborhood residents) located on Madison and Lexington Avenues. Cozy and welcoming neighborhood restaurants, world-famous museums and the recreational facilities of Central Park (including the 1.5 mile jogging track which encircles the reservoir) help make life pleasant. All information furnished regarding property for sale, rental or financing is from sources seemed reliable, but no warranty or representation is made as to the accuracy thereof and same is submitted to errors, omissions, change of price, rental or other conditions, prior sale, lease or financing or withdrawal without notice. 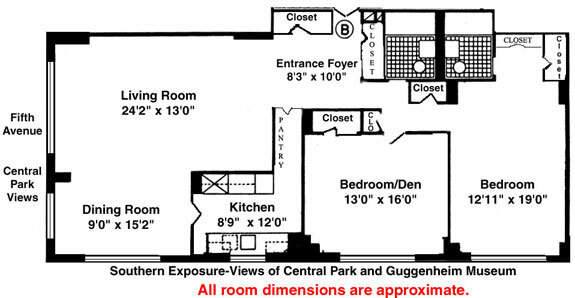 Purchasers are cautioned that, as is customary in New York, various methods may be used to determine floor area, and any quoted floor areas are approximate and exceed the usable area of the premises. Stribling makes no representation and is unwilling to make any representation and nothing in any sales materials pepared by or distributed by Stribling shall be deemed to be a representation as to the dimensions of and/or the actual square foot area of the premises. Any dimensions or measurements referenced have been provided by either seller or another source and have not been reviewed or verified by Stribling. For exact dimensions you must hire your own architect or engineer.